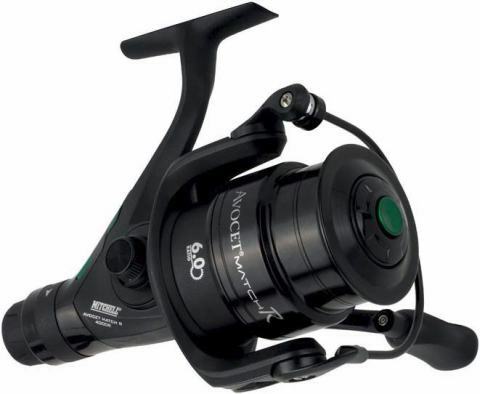 The Avocet Match R 4000 Reels have been especially designed for modern match, float and surface fishing. All types have a high gear ratio (6.0:1) for ultra fast retrieve, which results in roughly 100cm of line per handle turn! 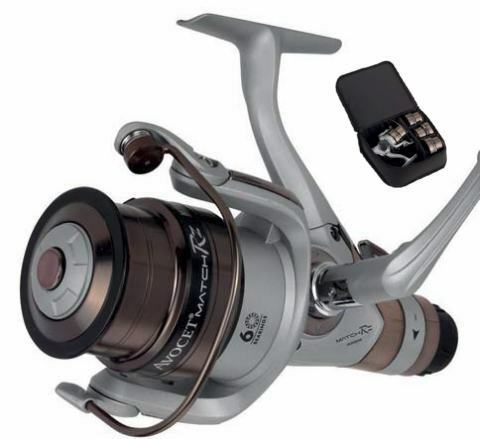 This is incredible for a compact reel like the Avocet. They are supplied with a shallow match spool with the clever line-ID rims. The special dual line clip system (with metal clips) allows the angler to unlock the line quick and easy or to fix the line at two exact casting distances. THE AVOCET MATCH reels have been especially designed for modern match, float and surface fishing. All types have a high gear ratio (6.0:1) for ultra fast retrieve, which results in roughly 100cm of line per handle turn! This is incredible for a compact reel like the Avocet. They are supplied with a shallow match spool with the clever line-ID rims.